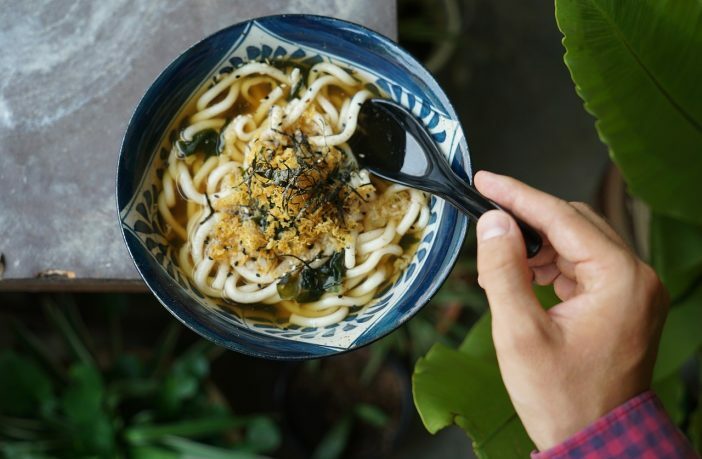 The Ramen trend is still going strong here in South Africa but there’s no need to spend a fortune at an expensive Ramen restaurant to get your noodle fix. This gourmet noodle bowl recipe will inspire you to stay home and spice up your winter with a warm and delicious noodle bowl in the comfort of your own home. Inspired by Castle Milk Stout, J’Something’s super easy-short rib and udon noodle bowl is the ideal winter treat for you and your family to enjoy as the weather gets cooler. J’Something says the key to getting loads of flavour in your broth it to slow cook the short rib in the stout beer – this will give you a rich, full-bodied flavour and will also help to tenderise the beautifully. · Combine the short ribs, ginger, soy sauce, garlic, sesame oil, Chinese 5-spice, salt and pepper in a large cast iron pot and mix well. · Cook short ribs until browned, then add the onions, stock and Castle Milk Stout and stir to combine. · Cover pot with lid and cook on medium heat (a slow simmer is good) for 4-5 hours until the beef is tender. · Remove from heat and stir in the pak choy until the pak choy is just wilted and still bright green. Cover and set aside. · Cook udon noodles according to package instructions. · Serve noodles in bowls topped with the short ribs and garnish with spring onions, red chilli and sesame seeds. Want more great Asian-inspired recipes? Shop for a wide range of Asian cookbooks online via PriceCheck now!